This newsletter is not produced by GSGSSI; it does not necessarily reflect their views. To subscribe to the SGIsland News Alerts list click here. You can view the mailing list manager’s GDPR Statement here. Happy Midwinter From South Georgia! Happy Midwinter from Team GSGSSI! The latest stage of the Government’s first 5-year review of its sustainable use Marine Protected Area (MPA) has taken place with the second and final meeting of its Advisory Group. The Advisory Group has been considering the development of scientific understanding of the South Georgia Maritime Zone since 2013, and the effectiveness of existing monitoring and management measures. It will report in the coming weeks with its evidence-based advice for Government on how the monitoring and management of the existing MPA could be taken forward. The Advisory Group incorporates representation from NGOs, the fishing industry, the tourism industry (an IAATO representative was unable to attend this meeting), UK Government scientific advisers and an external reviewer (Dr Alistair Dunn, New Zealand). The Group is independently chaired by Dr Colin Clubbe, Head of Conservation Science at the Royal Botanic Gardens, Kew. The work of the Advisory Group has already been informed by over 200 relevant, peer-reviewed scientific papers published since 2013, identified at a stakeholder workshop held in May 2017. 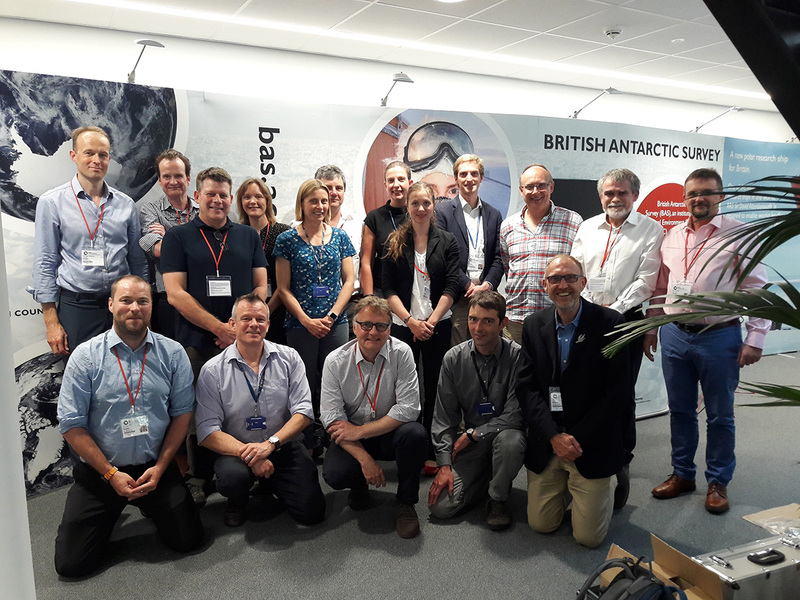 Following a recent call for evidence the Group commenced its meeting with an oral hearing involving four experts with experience of scientific research at South Georgia and the South Sandwich Islands (Dr Andrew Fleming, British Antarctic Survey; Dr Tom Hart, University of Oxford; Dr Simeon Hill, British Antarctic Survey; Professor Alex Rogers, University of Oxford). Updates relating to new and ongoing research taking place at South Georgia were also received by the group. The Group is now tasked with finalising its advice to Government following which the Government will consult on any management changes to the MPA alongside the development of a research and monitoring plan. 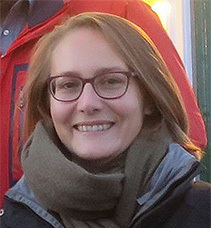 Helen has joined GSGSSI. Helen brings considerable experience from the public sector with a career at HM Revenue and Customs and latterly a role leading regeneration and change initiatives with a Council Authority in the UK. Helen will be spending some time meeting her Falkland Island stakeholders in readiness for visits to South South Georgia & the South Sandwich Islands and meetings in the UK. Reflecting upon her first fortnight in her post, Helen was impressed by the team’s determination to drive projects forward in a fast moving environment where making time can be difficult. 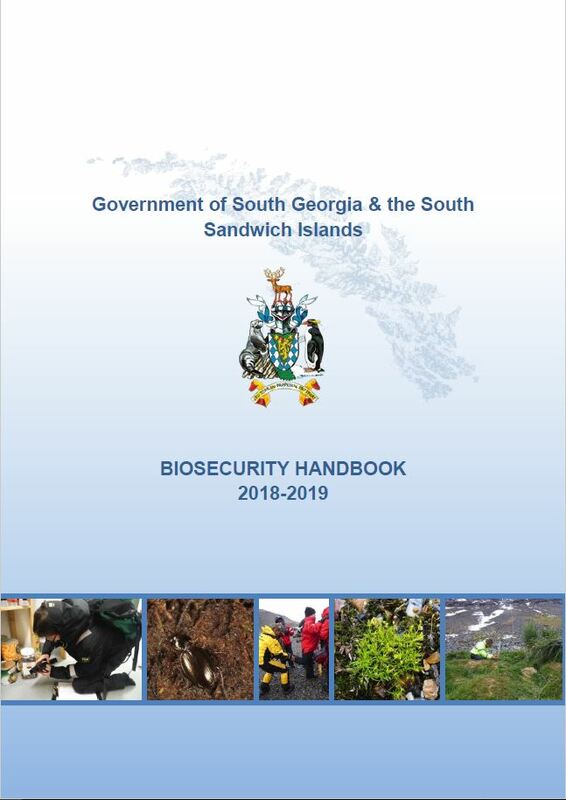 The Government of South Georgia & the South Sandwich Islands has released the results of its annual biosecurity review. Ensuring South Georgia’s biodiversity is protected from invasive species is every visitor’s responsibility, from Government employee to tourist; and remains a strategic priority for GSGSSI who remain constantly alert to new biosecurity threats and ensure our policies remain up to date and reflect best practice standards. In order to achieve this, each year GSGSSI undertake an annual review of biosecurity. Between June 2017 and May 2018, 274 biosecurity checks on cargo and baggage were undertaken by Government staff at King Edward Point. Of the 1250 items that were individually inspected during these checks, biosecurity risks were detected on just 6 or ½ a percent. Of those 6 failures, only 3 were live organisms, with the other 3 being dead invertebrates. This represents an increased inspection effort and decreased ‘failure’ rate than last year. Government staff also made an unprecedented effort to check cruise ship passenger’s boots, clothes and bags for biosecurity risks. Of over 10,000 passengers more than half were checked. 7% of passengers had some soil or organic material on their footwear, and 4% had soil or organic material on their clothing or bags. In all cases, extra cleaning and remedial action were undertaken before going ashore. In May, the South Georgia Heritage Trust declared the Island rodent-free following the successful and ambitious rodent eradication project. To maintain this legacy, and keep South Georgia rodent-free, the GSGSSI worked with Working Dogs for Conservation to undertake a trial using biosecurity rodent detector dogs to ensure South Georgia bound vessels were free from rodents. The trial was a great success, and GSGSSI are exploring options to collaborate with partners to turn the trial into a long-term biosecurity detector dog programme. 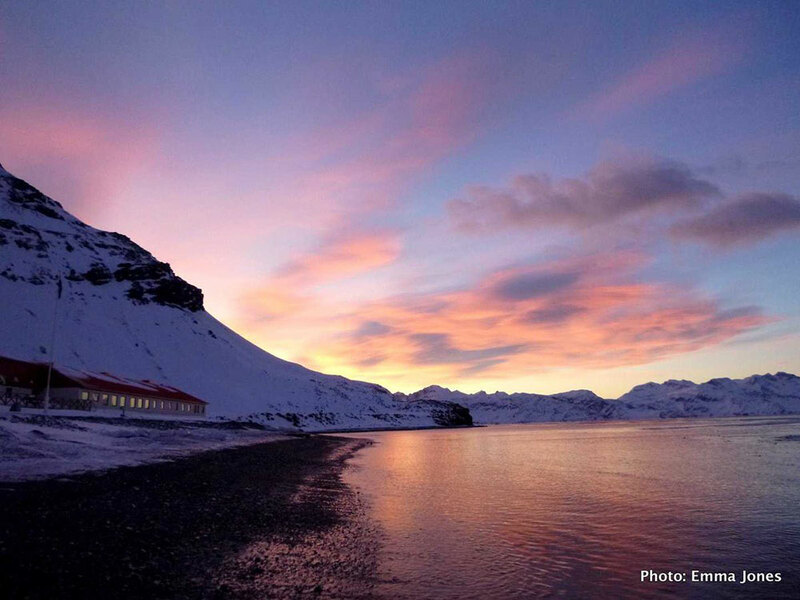 A new dedicated biosecurity facility for Bird Island was completed as part of the redevelopment of the research station by the British Antarctic Survey. This will further enhance the efficacy of biosecurity inspections at Bird Island, and help to maintain its pristine environment from future threats of non-native species. On the horizon are our plans to build a new biosecurity facility. This will increase capacity over our existing facility at King Edward Point enabling secure cargo handling and inspections for biosecurity risk organisms such as invertebrates, soil, seeds and rodents. A biosecurity audit conducted by the GB Non-Native Species Secretariat recognised the high standards of biosecurity on South Georgia and helped identify areas where GSGSSI can work with stakeholders to further enhance the protection of South Georgia’s biodiversity. Further information below. The 2018-19 Biosecurity Handbook, which contains details of GSGSSI’s current biosecurity policies, can be downloaded here. The Government is delighted to share the final report of a recent biosecurity audit. The visit was undertaken by biosecurity specialist Dr Gillian Key from the GB Non-Native Species Secretariat (GBNNSS). Left: Dr Key meets Samurai, one of GSGSSI’s rodent detection dogs. Right: Ross James & Dr Jill Key observing biosecurity practices of Hans Hanson in Grytviken, South Georgia. GSGSSI is never complacent about biosecurity and continually strives to enhance protection of South Georgia. Requested technical support from the GBNNSS was to help us identify ways to minimise biosecurity risks to South Georgia. In part, Dr Key’s report provides recommendations to protect the legacy of the South Georgia Heritage Trust’s rat eradication programme which concluded earlier this year with confirmation that South Georgia is rodent free for the first time in over 200 years. Dr Key visited South Georgia on board the fishery patrol vessel Pharos SG in March of this year, and observed first-hand how all components of the biosecurity system function from pre-departure procedures in the Falklands, through to border checks in the biosecurity facility at King Edward Point, and monitoring for non-native species. The Government would like to thank Dr Key and the GBNNSS for providing this valuable technical support, and looks forward to working with our partners and stakeholders to achieve Dr Key’s recommendations to better protect South Georgia from invasive species, this includes working collaboratively with the Falkland Island Government on shared objectives. The Government of South Georgia & the South Sandwich Islands requested this audit as part of a GBNNSS project called ‘Tackling Invasive Species in the UK Overseas Territories’, funded from the FCO’s Conflict, Stability and Security Fund. The visit by Dr Key took place between March and April 2018. The GBNNSS Biosecurity Report can be downloaded here. The Commissioner for South Georgia & the South Sandwich Islands, Nigel Phillips CBE, along with Steve Brown (Director of Operations) and Ross James (Visitor Management Officer) recently attended the 2018 International Association Of Antarctica Tour Operators (IAATO) conference held in Newport, Rhode Island, USA. 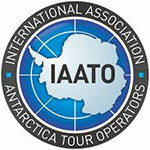 This three-day event saw the annual gathering of IAATO members who operate in the Antarctic and sub-Antarctic Islands, including South Georgia. The conference provides a forum for discussion about tourism in and around Antarctica. The Government was pleased to present an overview of the 2017/18 summer season on South Georgia and a look ahead to plans for the next season. 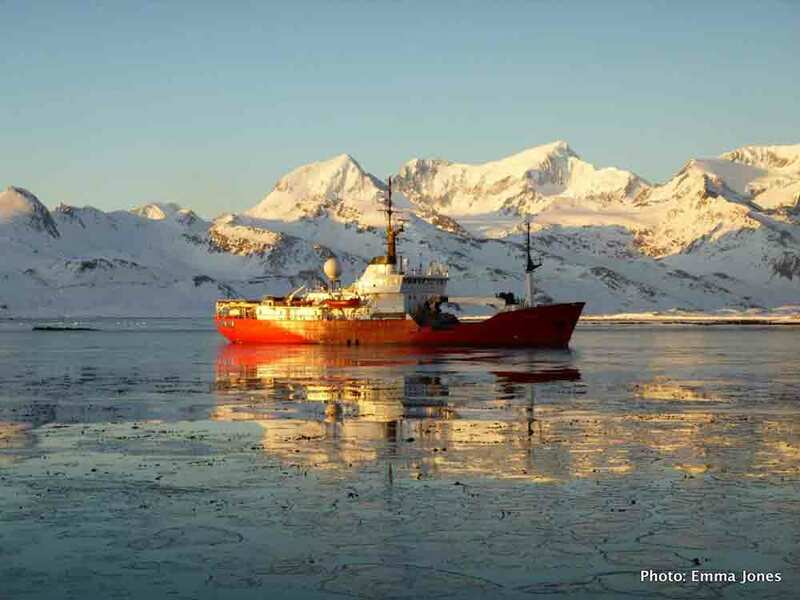 This included updates on the increase in numbers of both vessels and visitors, updates on biosecurity and planned future improvements, and project development this season including the South Georgia Heritage Trust rodent eradication monitoring programme, heritage works at Grytviken and science monitoring projects. Ahead of the 2018/19 visitor season GSGSSI is pleased to publish the new visit permit application forms and accompanying guidance document ‘Visiting South Georgia 2018/19’. The guidance document has a new look and is designed to be easier to navigate with a table of contents, coloured page tabs and clickable links to key documents. A key update is the new protocol for the number and placement of rodent monitoring stations on board vessels (Annex 9). The protocol has been designed after a number of potential rodent ‘hot spots’ on vessels were identified during our recent rodent detector dog trial, and means that some vessels will require a maximum of six rodent bait stations based on their design and layout. Another change is that relevant sections from the ‘Biosecurity Handbook’ are incorporated, such that the ‘Visiting South Georgia’ booklet contains all essential information for visiting yachts and vessels. Visit Permit application forms have been updated and split into two parts. Vessels and yachts making return visits during the season will only need to complete ‘Part 1 – Vessel (or Yacht) Details’ once per season unless information changes, and submit ‘Part 2 – Visit Details’ for each voyage. If this format proves successful, next season GSGSSI will consider accepting Part 1 applications earlier in the year and then accept Part 2 applications after the IAATO scheduler opens. It is hoped that this will spread the administrative burden on both applicants and GSGSSI. The updated documents can be found online here. King Edward Point and Grytviken have recently had visits from two teams of heritage surveyors, Purcell’s and Geometria. 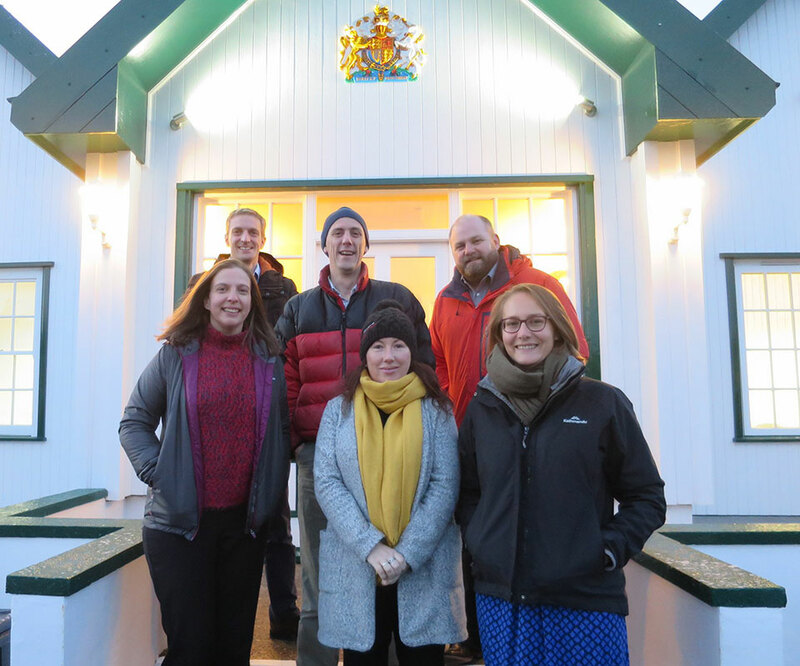 The visiting teams have been undertaking work for the Grytviken Conservation Management Plan (CMP). This project has been commissioned by GSGSSI in line with the Government’s objectives set out in its 5-year Strategy 2016-2020, and follows the publication of its Heritage Framework and Strategy in December 2017. The Grytviken Conservation Management Plan will assist the longer term management of the site and help inform heritage decision making. Both surveying teams were on the ground in South Georgia, based at King Edward Point for approximately two weeks and undertook survey works at Grytviken. The Purcell team were undertaking condition surveys on the Main stores and Flensing plan as well as gaining an understanding of the site’s historical development over the years and assessing the significance of heritage artefacts. Geometria have previously carried out LIDAR laser surveys of the whaling stations on South Georgia. This visit added further data for Grytviken, focusing on areas of specific interest to the CMP, notably the Main Stores and Flensing plan. New drone technology was used that links in with the laser scans. Some of the initial drone footage of Grytviken call be seen on YouTube and below. GSGSSI expects the Conservation Management Plan to be published later in the year. Where do juvenile Grey-headed Albatrosses go? What’s the real price of getting rid of plastic packaging? Sunset on South Georgia. Photo Emma Jones. FPV Pharos SG returning to King Edward Cove. Photo Emma Jones.